YouTube was founded in early 2005 by 3 PayPal employees , Chad Hurley, Steve Chen, and Jawed Karim . As another great garage invention it started out when they got frustrated trying to send a video through email. They saw the opportunity and offered a solution to the problem. After the official launching they secured external funding from Sequoia Capital all of which was used to improve the infrastructure and add needed features. From then on it kept growing, getting bigger and bigger. It was sold to Google 18 months after it’s lunch for the sum of 1.65 billion USD. It recently surpassed the 4 billion views per day and is currently the third most popular site on the internet (under Google and facebook). It constitutes one of the most powerful components of Google. What these rules obligate is that with your video you somehow offer a new interpretation of the data you are using and you only use the content in ways that they are producing something new. A new knowledge sort of speak. Like when you comment part of a show in the news report. Another classic example here is the parody videos. Although the visual content is 100% copy, it is used for entertaining purposes giving a completely different purpose to the original video. So with the banner of fair use the copyrighted content stays up until someone complains. It is only then that it is taken into consideration to be removed. 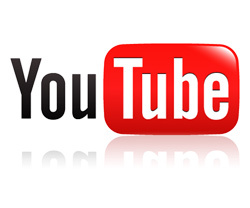 YouTube is the leading video sharing service on the web from it’s beginning till now. It is a “visual information” database recording everything happening in the world around us. The fact remains though that Google is spending million of dollars to be able to keep up with the amount of video uploaded every minute (that is about an hour long) and it is still no able to bring earnings back. The way it’s going to evolve is only remain to be seen..